The fresh and modern Clarks Fleet Top boys ankle boots are a soft grey leather rugged desert boot, ideal for the seasonal transition. 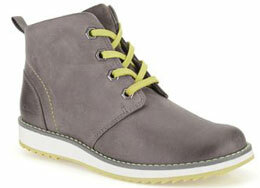 With bright trims and laces adding a zesty pop of colour, these fashionable and functional boots are a practical pair. An easy inside zip allows the boots to be pulled on and off quickly, with the laces allowing an adjustable fit. 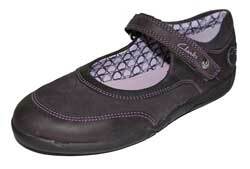 Cushioning to the toplines keeps ankles supported, whilst the razor-cut sole adds and edgy, grippy finish.